BEHRINGER Teases An Sequential Circuits Pro-One Synthesizer Clone! HomeNewsHardwareBEHRINGER Teases An Upcoming Sequential Circuits Pro-One Synthesizer Clone! Do you remember the moment where Uli Behringer announced to bring many well-known vintage analog Synthesizers on the market again? At first one does not believe completely but more and more it became reality. With the Model D, he already demonstrated that he can replicate old synths very nicely. If we can trust further news, a UB-Xa (Oberheim OB-Xa) and VP-340 (Roland VP-330) Vocoder is also in the works. Today, the company has posted a picture on Facebook on which we can see another new recreation, the Pro-One from Sequential Circuits. If you follow the work of Behringer, you no longer have to wonder if this new Synthesizer will become analog or digital. 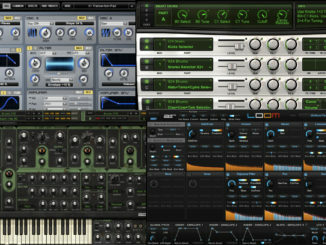 IT’s certainly more exciting to consider whether it’s a desktop or a Synthesizer with a keyboard. If you look closely at the board, you will recognize a MIDI socket on the right side, which hints at a desktop variant of the Pro-One. 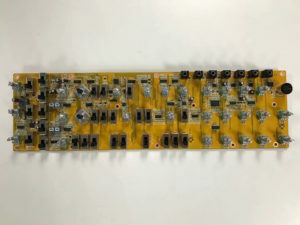 Same as the Model D from Behringer, the “Uli-Pro” includes CV/Gate inputs or outputs on the top right which makes it possible to mount it in a Eurorack system. The Sound Of The Originals? The question of the sound quality will be interesting. Will the Behringer clone sounds like the well-known Pro-One from Sequential Circuits? With the Model D, he demonstrated already that a clone can sound damn good for a price of $299 USD. Urs Heckmann from U-he has already shown that software emulations (Pro-One) can reproduce the sound character very close. The size…. the mysterious jacks on the front… the midi in on the front panel… this is eurorack isn’t it? Not that I’m complaining. 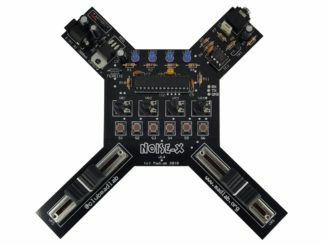 I’m thinking small eurorack case with this and a different filter and/or fx module and that’s it. Self contained and lovely.